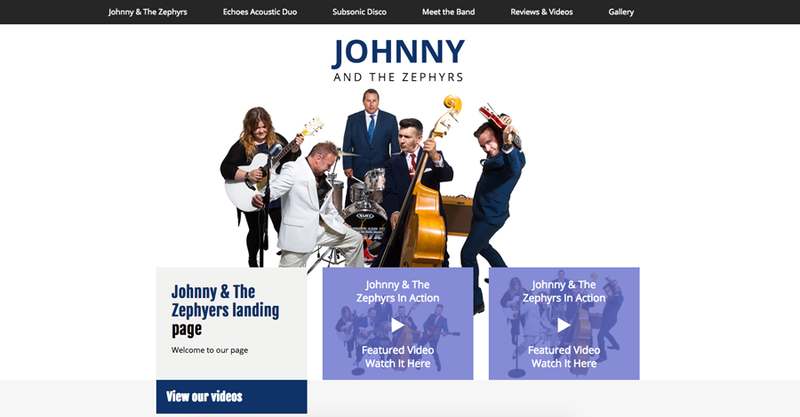 This week's website of the week goes to Johnny and the Zephyrs. 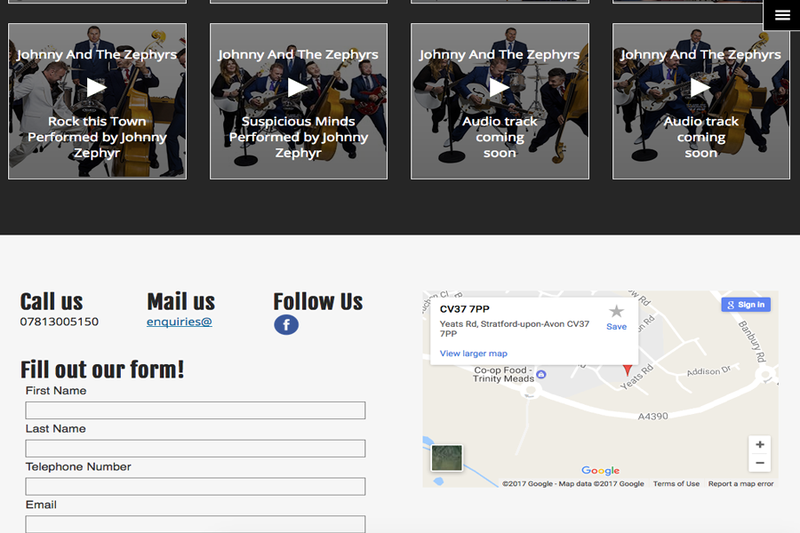 Johnny & The Zephyrs is a well known and immensely entertaining 50's Rock & Roll band based in Stratford Upon Avon Warwickshire, incorporating music from the 60s rock genre and soul genre also covering a whole range of artists to please all. 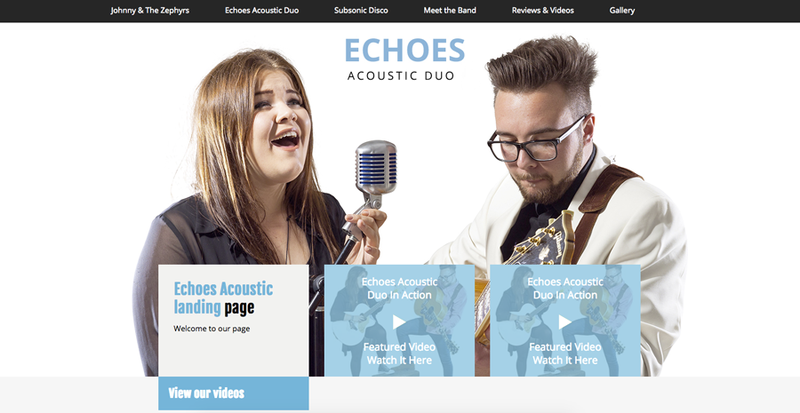 The website features a dedicated colour scheme on each page for each of the acts they provide. This makes the website really easy to follow. The website features interactive videos to watch, soundcloud tracks to listen to and image slide shows and gallery pop ups to make the website a real joy to navigate through. The website is easy to get around using the menu. There are boxes on every page so that you can watch videos and soundtracks of the bands in action. The client kindly gave us 5 stars out of a possible 5 and said: "Very pleased with your service already. I can't see any improvements needed!" 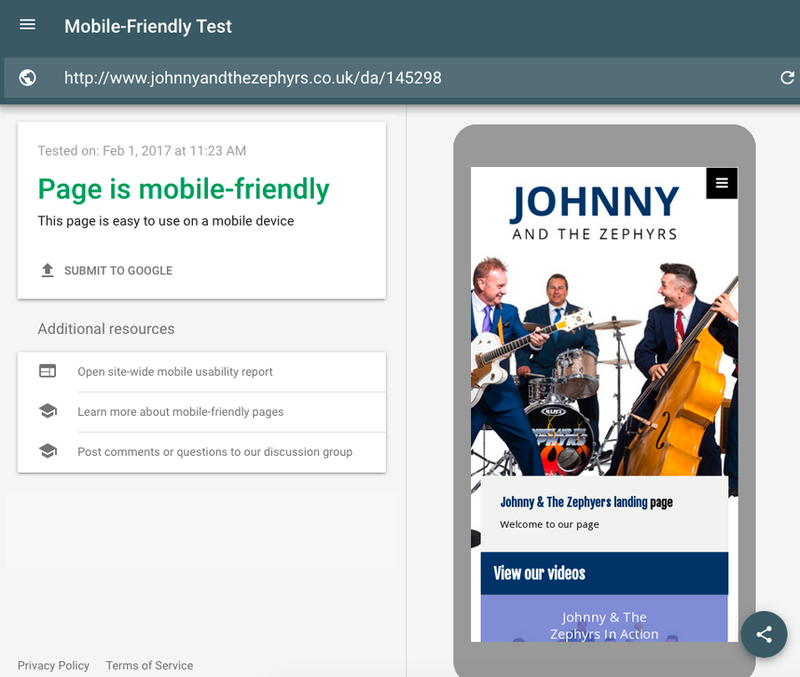 Did you know... You can film, upload and embed video onto your website too! Simply film, upload to your preferred platform (Vimeo or Youtube) and find the embed link to add to your website pages!